On the one-hundredth anniversary of the start of deportations culminating in the deaths of up to 1.5 million Armenian Christian subjects of the Ottoman Empire, the question of whether these atrocities constitute "genocide" remains hotly debated. Turkish officials maintain that the deaths were normal wartime excesses, in the midst of a world war when the empire was fighting for its life. On the other side, the descendants of Armenian victims and survivors throughout the world maintain that the mass killings were a planned, deliberate campaign of extermination. The weight of academic scholarship has tilted decidedly toward the latter view. For an informed introduction to the debate, we recommend the following selection of articles by Middle East Forum staff, fellows, and outside specialists writing for our flagship publication, Middle East Quarterly (MEQ). Genocide is defined under the 1948 Convention on the Prevention and Punishment of Genocide as "acts committed with intent to destroy, in whole or in part, a national, ethnical, racial or religious group, as such." The terminology is sufficiently broad (e.g. "with intent" suggests ethnic cleansing need not be the primary motivation; "in part" allows for localized atrocities to qualify; "as such" renders the preceding term "destroy" more flexible) that the near-complete elimination of the Armenian Christian community in eastern Anatolia at the hands of surrounding Sunni Muslim Turks is itself strong prima facie evidence of genocide. Applicability of the term to the Armenian cases hinges on the questions of premeditation and intent. Guenter Lewy is one of the most prominent critics of Armenian genocide recognition. Many scholars maintain that there is no clear smoking gun indicating that the mass killings of Armenians in the Anatolian Peninsula were orchestrated by the Ottoman government. 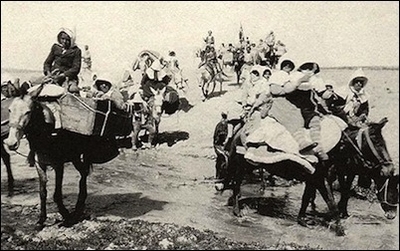 Ottoman records and other documentary evidence provide "at most a shaky foundation from which to claim, let alone conclude, that the deaths of Armenians were premeditated," according to Guenter Lewy, professor emeritus at the University of Massachusetts Amherst ("Revisiting the Armenian Genocide," MEQ, Fall 2005). However, growing numbers of scholars have come to challenge these views. Efraim Karsh writes that there is an "overwhelming body of evidence of Ottoman genocidal intentions and practices." If the genocidal intentions underlying the Armenian tragedy are not explicitly spelled out in surviving Ottoman records, they are unmistakably clear when one considers the common belief system of Ottoman Turks and historical circumstances, maintains MEQ editor and MEF senior research fellow Efraim Karsh in "Ankara's Unacknowledged Genocide" (MEQ, Winter 2013). According to Karsh, there was no military justification for depopulating eastern Anatolia of "virtually unarmed" Armenians. Even the Nazis refrained from deporting the native populations of countries they occupied, with the notable exception of Jews, for whom they bore a special genocidal hatred. Ottoman rulers were nevertheless convinced that the reduction of non-Turkish minorities in Anatolia was critical to the defense of the empire, notes Karsh, citing the recent work of Turkish-American scholar Taner Akçam. Historian Diana Muir Appelbaum argues in "Islamic Supremacy Alive and Well in Ankara" (MEQ, Winter 2013) that Ottoman intentions to "annihilate the Armenians as a nation and extinguish their language, faith, and culture" are evident in the Islamo-Turkish supremacist ideology of the ruling Ottoman elite and in the broader context of Ottoman-Armenian history. She discusses the Ottoman Empire's preceding settlement of some 850,000 Muslims in Armenian majority areas in the late nineteenth century and the killing of an estimated 80,000-300,000 Armenians between 1894 and 1896. While the applicability of a single word to events that transpired a century ago may seem like a minor semantic matter, the debate has real world implications. International apathy toward what Germany's ambassador in Constantinople called a "clean sweep of internal enemies" by Ottoman leaders in 1915 likely encouraged the Nazis to do likewise a quarter of a century later, argues Hannibal Travis, a law professor at Florida International University, in "Did the Armenian Genocide Inspire Hitler?" (MEQ, Winter 2013). "Who speaks today of the extermination of the Armenians?" Adolf Hitler is reported to have said a week before invading Poland. 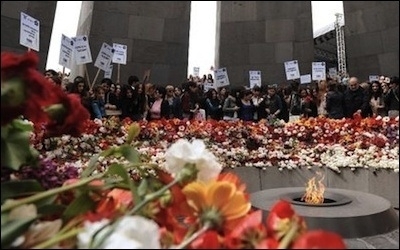 Turkish efforts to discourage the world from recognizing the Armenian genocide are failing badly. Today, growing numbers of governments, international NGOs, and legislatures are speaking about an Armenian "genocide" for the first time. Yet Turkey's refusal to acknowledge any systemic wrongdoing on the part of the Ottoman Empire in destroying the majority of its Armenian subjects has intensified. This owes much to the ruling AKP's ideological commitment to neo-Ottomanism, explored at great length by MEF fellow Burak Bekdil. As Bekdil notes, President Recep Tayyip Erdoğan's efforts to pressure foreign governments to withhold recognition of the Armenian genocide have failed miserably. Inside Turkey, the AKP's denialism about the Armenian genocide contributes to an atmosphere of intolerance to Christians. 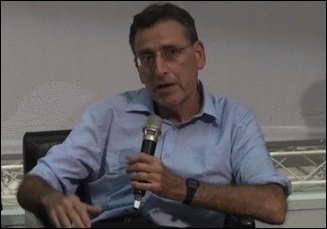 In "Turkey's Christians under Siege" (MEQ, Spring 2011), John Eibner, CEO of Christian Solidarity International-USA, examines small-scale discriminative violence against Turkish Christians in recent years, such as the January 2007 murder of Armenian Christian journalist Hrant Dink, a prominent campaigner against Turkish genocide denialism. Nearly a century after the genocide, according to Eibner, "widely-accepted negative stereotypes of Christians as dangerous, subversive aliens within society" are alive and well. 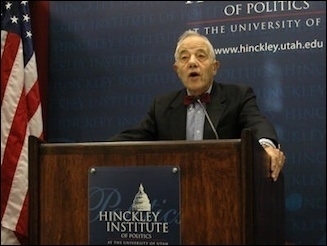 Consequently, several MEF fellows have advocated for U.S. recognition of the Armenian genocide, notably Judith Friedman Rosen Fellow Raymond Ibrahim ("Obama Breaks Promise on 100th Anniversary of Armenian Genocide," April 24) and Robert J. and Abby B. Levine Fellow Tarek Fatah ("Muslims Must Admit Armenian Genocide," April 21). Related Topics: History, Turkey and Turks receive the latest by email: subscribe to the free mef mailing list This text may be reposted or forwarded so long as it is presented as an integral whole with complete and accurate information provided about its author, date, place of publication, and original URL.